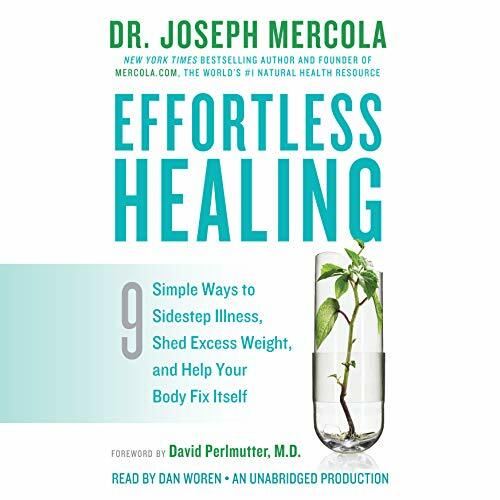 Effortless Healing is the distillation of decades of Dr. Mercola's experience and cutting-edge medical knowledge. With his wisdom and that of your body, you can optimize your health, your weight, and your life...effortlessly. This book is a must-read for everyone. I've seen some of the "nay-sayer" comments, but it was clear that they never made it past early chapters. Dr. Mercola gives - yes gives - you the keys to health for you and your family. Many of the foods/products that have been shilled as healthy and good for you simply are not. Dr. Mercola answers so many whys as to different diseases and maladies that have grown to epidemic proportions in recent years and how you don't have to be a victim and even how to come back from some pretty debilitating illnesses. I am so excited to be able to "take control" of my health in a meaningful way. I will be providing copies of this book to family members and friends who seek natural means toward great health. I highly recommend his book - it's far more than "common sense." You will be blown away by the incredible information that is yours for the reading. I have it on kindle and audible, but purchased the hard copy to be able to reference items more quickly and refer to (what will become) my highlights. It has to be read by everyone. Just brilliant! Simple, concise and very educating. It should be in everyone's library. It is my first audio book. highly recommended. I enjoyed listening to this, and the information is spectacular! Dr. Mercola gives great advice and it truly is as close to "effortless" as it gets. 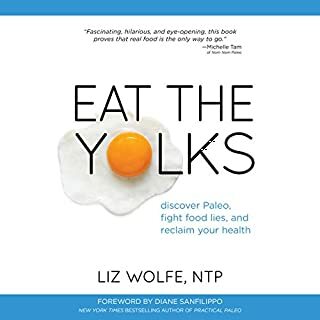 In my opinion, this book is so filled with pseudoscience and quackery that I felt it necessary to post a warning review here. One does not need to have a degree in chemistry or medicine to spot many glaring errors in thinking, science and reality. A simple high school chemistry class is enough to cast doubt on some of the ideas presented. For example, concepts of "structure-altered water" or "vortex water" are better suited to a sci-fi/fantasy book than a book presenting itself as a medical/health advice text. Further, I am shocked by Perlmutter's forward to this book. I am rethinking my positive review of his book Brain Maker posted here on audible. Is there no limit to the willingness some medical authors have in stretching science to suit their particular theory of the moment? 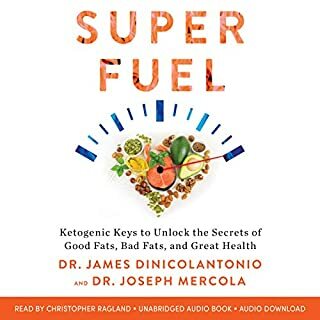 Much of Mercola's advice will not harm listeners--but to me, it is not grounded in solid science and serious medicine. Snake oil anyone? 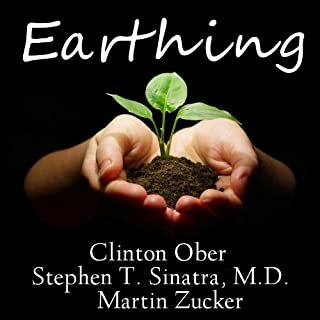 this amazing audiobook are for those who truly want to take control of their health and their well-being. I study health and in constant search of latest research or to learn something new. 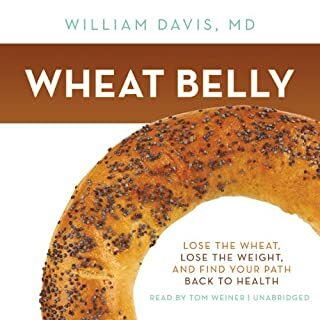 This book is great if you're new to the health world. The steps/ways that are discussed in the book are summaries of many books but I didn't really find anything new to me. Some are what you would already know but I do like that this isn't geared for a specific diet and more for holistic health. He does mention back to his own website and products, but that's to be expected. 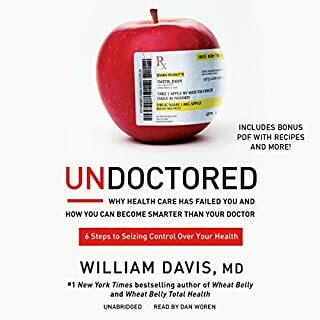 The information in the book was good in itself, I just was looking for more or new information, but this is still great for someone who is new or wants a summary of health habits. Very easy to grasp !! Highly recommend this book ! Was truly an eye opener; especially the parts about grounding and vitamin D3/ k2. Thank you ! A step by step road map towards improving our health as long as we are willing to follow through with the instructions. This read really makes it easy for people who have little science or biology background to understand. 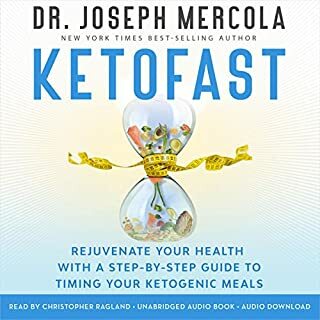 Also this is the culmination on Fat for Fuel, Grain Brain, And The complete Guide to Fasting, along with a little Primal Blueprint! So a great road map for people wanting to make a change in their life for the better! One of the best books on the subject! What was one of the most memorable moments of Effortless Healing? This book is laid out in a very organized manner. I was not reading it for weight loss - but the portion on healing makes total sense.